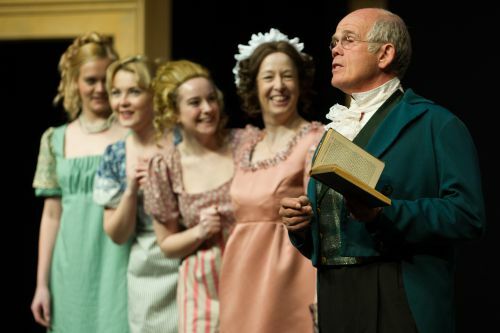 We opened last night to another FULL HOUSE with Janet Munsil’s adaption of Jane Austen’s ‘Pride and Prejudice’. Last nights review for this production is now online on our website HERE?together with a selection of rehearsal & production stills. The costumes were produce by our own Wardrobe Depatment, ?under the supervision of our very talented Mike Shaw, and they are one of many highlights in this not to be missed production. The show, on all week, is selling quickly again (like so many of our productions this season!) – so book your seats soon!